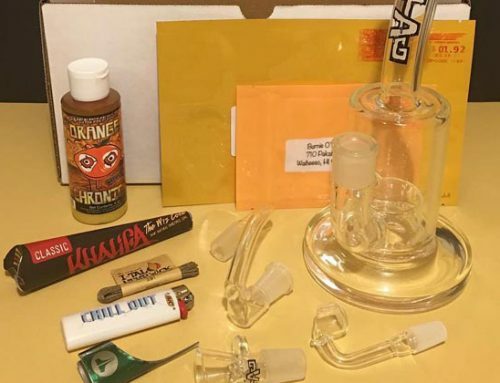 After spending 13 hours researching 14 different smoking accessories subscription boxes, there are two packages we recommend. 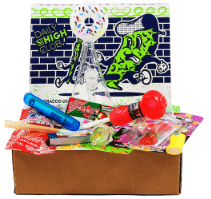 The first box is the El Primo bundle by the Daily High Club (formerly known as Dollar High Club) and the second is The Goody Box by the Goody box company. Both boxes come with a new glass piece or vape pen every month and give you a wide range of products compared to other subscriptions. 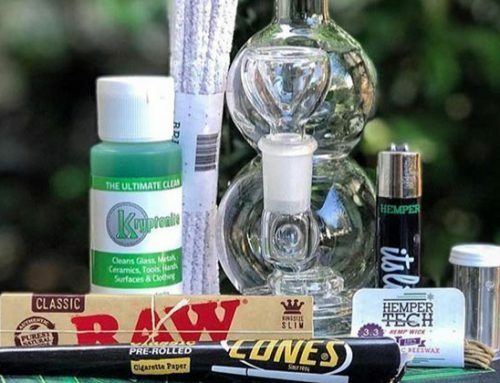 The deliveries are well priced—both give you almost twice the value you are paying for—and are perfect for all smokers, making these accessory subscription packages a great surprise in the mail every month. Heavy, full and big. These are just a few things that describe what makes this package one of our favorites. 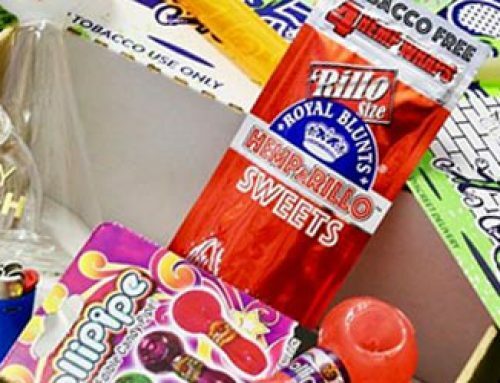 The El Primo smokers box always comes packed with premium smoking supplies. In each monthly delivery, expect to improve your collection with one of their curated glass selections. Glass pieces in past deliveries have included beakers, bowls, pipes, and bubblers. 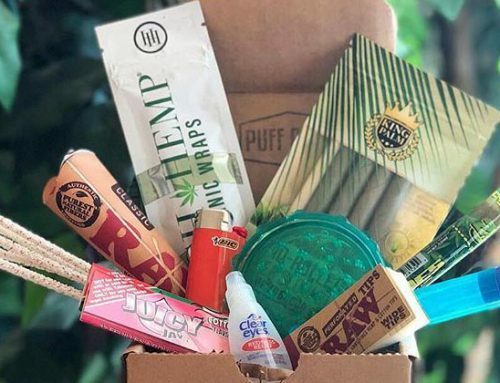 The monthly box also come with a handful of smoking essentials, such as rolling papers, pre-roll cones, lighters, rolling tips, and even ash trays. What we like about the Daily High Club, is that they reward their customers by being loyal. In other words, the longer you commit…the cheaper the boxes are. Even if you go month-to-month, this is one of the most well-rounded plans available and you get everything at an affordable rate. A lot of thought goes into each delivery and always you’ll get up to 2 times the value you’re paying. The Goody Box package came in as another great choice for someone looking for a subscription. One thing we love about this delivery is that they almost always include something to satisfy your munchies. This is overlooked in many of the packages that we reviewed and made this box stand out amongst the crowd. Also, the monthly deliveries come with either a smoking piece or vape pen. This is where the real value of the box comes into play, as some of the items are worth more than the monthly price. 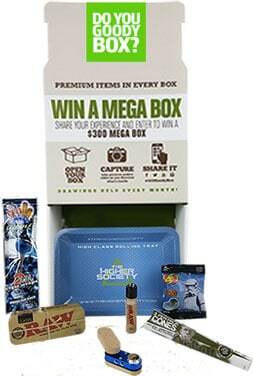 In connection with the smoking piece, the Goody box makes things more exciting by incorporating themed boxes. 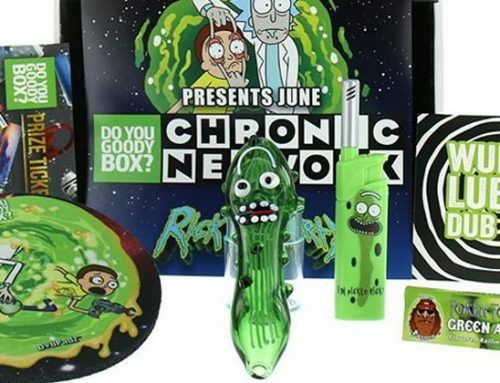 For example, they had a Halloween box that they called “Halloweed.” Not only was Halloween candy included, but they added a ghoulish cyclops Viking glass pipe, which turned out to be a perfect conversational piece while in a costume! Most companies offer a package specifically for joint and blunt rollers. We found this Good Box package to have wider selection. You get 4-8 items every month. After reviewing the different subscription plans, we felt that the Loot Pack included the most variety when it came to smoking essentials. There are definitely cheaper options that you can consider (like the $1 plan from Daily High Club) but if you’re just beginning to explore the wonders of smoking cannabis, this is the box for you. One of HippieButler’s most popular choices, you can customize your order for flowers or concentrates. Also the box with the bow-ties makes the package discrete and fancy at the same time. Packaging. This is one of the main reasons why we recommended the Butler Box as a gift. There are little bow-ties that look perfect for any gender and, more importantly, it disguises the contents. This way the recipient has no idea what arrived in the mail. We also saw this as one of the more versatile subscriptions because you can choose whether you want to get the box for flower or concentrates. Smoking subscription boxes are one of our favorite inventions created for cannabis smokers, by cannabis smokers. Whether you smoke every day or are just occasionally, there are packages designed specifically for you. Now there’s no secret why people enjoy subscription packages. (1) The boxes come with the newest products in the industry, so you can “stay in the know. (2) You get discounts on products that you normally pay full price for. (3) Every box is shipped directly to your house every month, discretely, with no questions. The only issue is, picking the best one for your needs and your budget. We recommend thinking about who the box is for. Regardless of whether this is for yourself or a gift for a friend, think about who the box is for. For example, does this person have a daily ganja habit, or do they have less frequent encounters with Mary Jane? Are they new to marijuana or have they been smoking for years? Do they smoke flowers, or do they experiment with some of the newer ways to get high, like vaping or dabbing? These are just a few examples, but the point is, not all subscription packages are created equal. Now, once you understand who the subscription is for, the next question to answer is what kind of budget are you looking for? When it comes to weed habits, there are people that will spend their entire pay check to get high. There are also people who don’t spend anything but STILL get high…(you know who you are!). Well, with subscription packages, you get what you pay for. 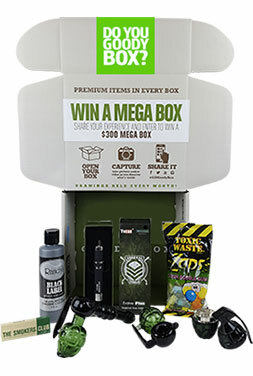 There are certain boxes that only cost $1 per month and you can be sure that a weed box will arrive every month at your door step. There are also packages that run over $200 per month. A little pricey for your average smoker, but you’ll never have to run into a smoke shop again. Timing is also a factor. In other words, the longer you subscribe to a plan, the cheaper they will be. For example, you will get better value from a 3 to 6 months subscription, compared to a 1 time delivery. These month to month deliveries are great because you can test out your need for new products and cancel the monthly plan at any time. This gives you flexibility to try different companies too. Here’s a quick reference list of boxes that we’ve reviewed in the past. Click on the link to read the review.